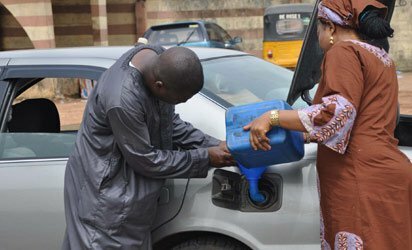 The Independent Petroleum Marketers Association of Nigeria (IPMAN) yesterday asked Nigerians to prepare for fuel scarcity. IPMAN Vice President, Alhaji Abubakar Dankigari, lamented that the Nigerian National Petroleum Corporation (NNPC) which sells the product for N133 per litre was no longer loading and that private depots around Calabar were already selling the product between N138 and N140 per litre. Dankigari said marketers had decided to keep their trucks since the Petroleum Equalisation Fund (PEF) was already owing them over N200 billion for bridging the product, warning that there will be scarcity of petrol and kerosene in the next few days. “If care is not taken, there will be fuel (petrol) scarcity because private depots have started increasing their rates; they are selling the product at a higher rate now in Calabar,” he told The Nation. “Secondly, the cost of diesel is increasing. It is between N250 to N270 per litre. You can see that the cost of diesel is high but it is equally available because it has been deregulated. In addition, PEF that is supposed to be paying the transport fare is not paying. “So, the marketers have decided to keep their trucks. The money PEF is owing marketers is now over N200billion. If this trend continues, there will be scarcity and the products will be very difficult to get. There is no kerosene at all. “The major problem is that in Calabar, marketers are buying this product at N138 to N140 from the private depots. You know that what the NNPC said we should collect is N133, but they are not loading”, he added. Dankigari noted that the foreign exchange rate was too high for his members to import products into the country.